If you are thinking of visiting New Zealand or already have plans to go over there then you are going to be in for a treat. Although the flight to New Zealand is a decent journey from just about anywhere in the world except Australia, it will be worth it once you arrive. New Zealand is separated into two islands, The North and South Island both have beautiful, unspoilt and dramatic landscape on offer. If you are making the journey here you should definitely try and get to both islands since New Zealand itself isn’t huge. You can head from North to South or vice versa on a ferry very easily. We’ve listed our favourite six New Zealand walks that are simply stunning and not to be missed. 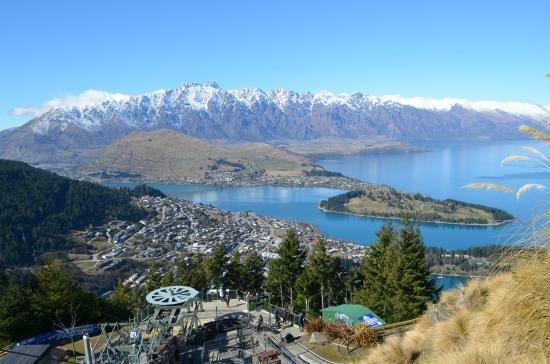 Starting on New Zealand’s South Island is Queenstown, one of the most picturesque towns you’ll have been to, Queenstown is a favourite of travellers all over the world. This place has an indescribable buzz, there are adrenaline sports around every corner, wild parties by night and some of the most serene and beautiful of New Zealand walks by day. Walking up the Gondola trail is a great one. 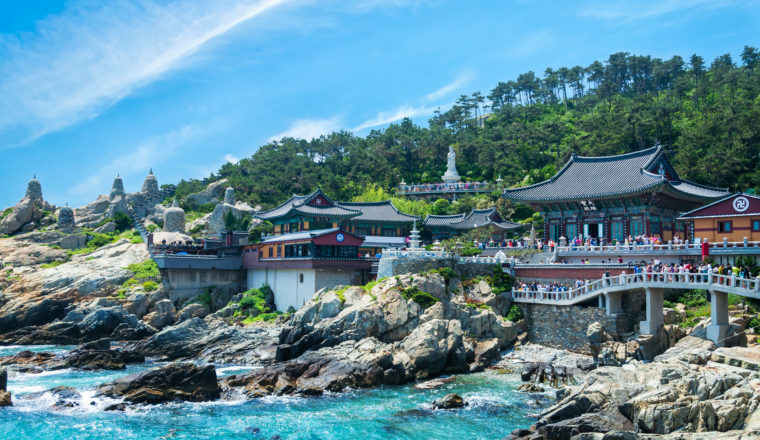 The Gondola is set into the hillside but there is also a fairly untrodden path that you can follow which starts with a rough and rocky climbing path that takes you past waterfalls and into a forested area where the path becomes more structured. The road climbs up and up until you reach the top and will be blessed with sensational views out over Queenstown, Lake Wakatipu and and the mountains beyond. Because of the Gondola you’ll also find a great cafe up thre and the chance to try out the amazingly fun Luge tracks at the top. 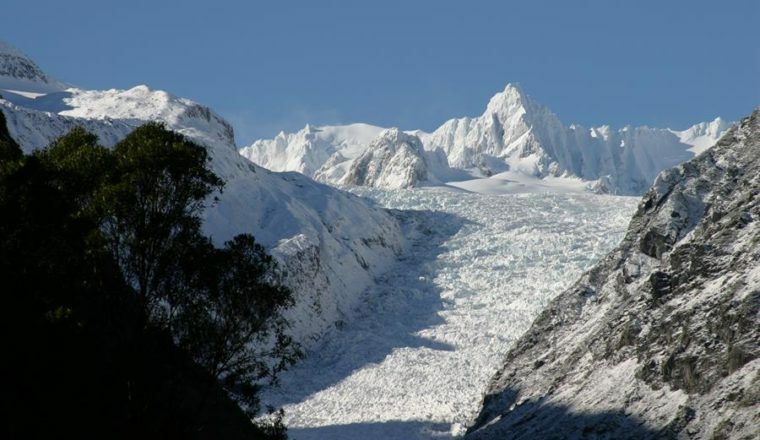 Franz Josef glacier is a long temperate maritime glacier located in the tiny village of Franz Josef. 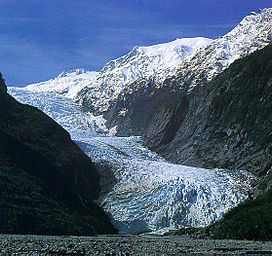 The glacier descends from the Southern Alps to less than 300 meters above sea level. It is a really beautiful sight and definitely a favourite when it comes to New Zealand walks. You can easily join a walking group with a guide who will take you right up to the glacier and will give you the full and fascinating history. You can also spend more money and actually climb the glacier and get helicopter rides up if the weather is right. Franz Josef itself is a lovely little New Zealand town with plenty of guest houses, a small amount of amenities and a beautiful spa where you can watch the stars at night whilst enjoying the warm baths. If you do make it to New Zealand you absolutely must visit Mildord Sound. This fiord is known for its towering peaks, rainforest and waterfalls and is home to penguins, seals and dolphins. If you are lucky you may get to spot all three if you take a cruise out onto the water, but there are also some wonderful New Zealand walks around the area. 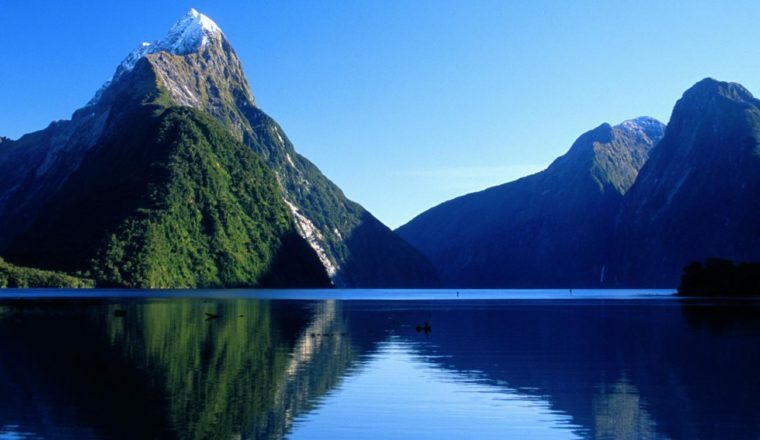 Milford Sound is a popular tourist destination due to its absolute, dramatic beauty, but you won’t get the sense of it being flooded with people if you do visit. The journey there itself is quite something, particularly when you drive through the man made tunnel straight through the mountain side. One arrival you’ll really get a sense of calm, peace and tranquility. You’ll feel a million miles away from the rest of the world. Hopping over to the North Island now, you’ll find the location of Tongariro Alpine Crossing, New Zealand’s oldest national park and a dual World Heritage Site. 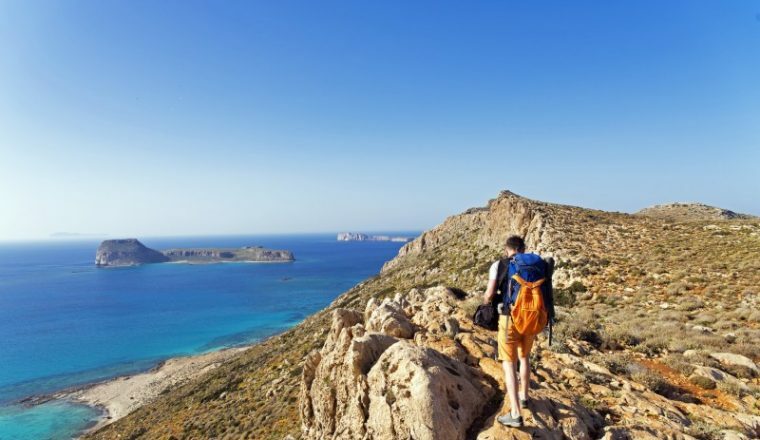 This is a popular day hike that will take 7-8 hours one way so you’ll need to sort out transport from the other side or book onto an organised tour group. You can of course find somewhere to stay and walk back, but allow an extra hour on the return journey. 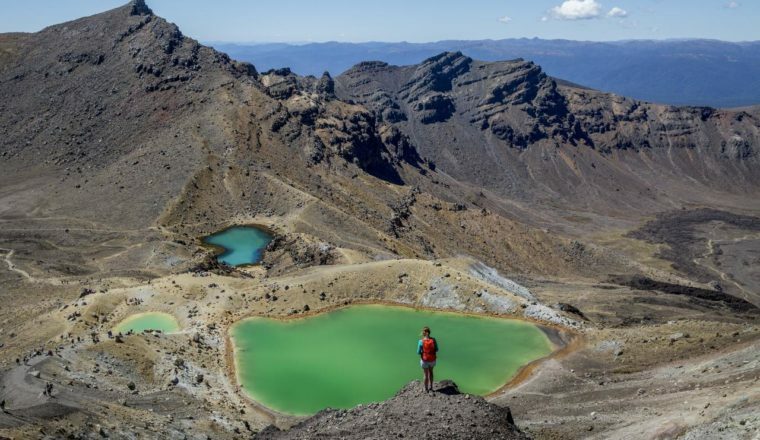 Along this stunning of New Zealand walks you will encounter lava flows, an active crater, steam vents, emerald coloured lakes and unbeatable views. This is a real adventure and is not an easy days stroll. Do bear in mind that the weather can change quite rapidly up here so if you are going it alone and don’t have the advice of a local guide then be prepared and keep your eye on weather reports. 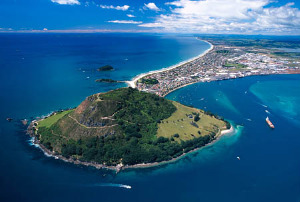 Mount Maunganui is situated on a peninsula jutting out from the southern end of Tauranga Harbour. 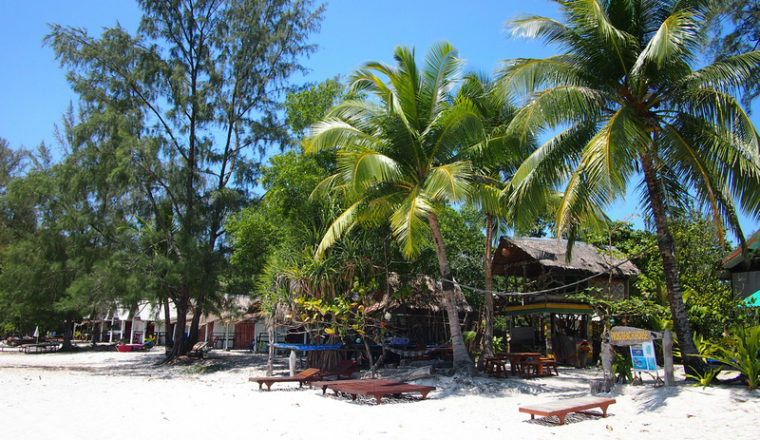 There is a small town here and beautiful white sandy beaches which make it a holiday destination for the folks of the North Island. The Mount itself provides two types of walk, one short, sublime walk around the base of the mount looking out into the ocean and others heading on up the mount. Walking up the 232m high mount is obviously harder but isn’t a long route and is pretty manageable. There are clear paths for you to follow and you’ll find others following the same route, particularly on a gorgeous sunny day which New Zealand has plenty of in the summer months. The views from the top of the Mount are quite beautiful, the peninsula stretches out below and onto the main land, with golden sand lining it on one direction and the ocean lies before you on the other. Definitely take a bottle of water if you are planning on walking up, and put on plenty of sunscreen if you’re walking in the summer. Last and by no means least is the Coromandel Coastal Walkway. 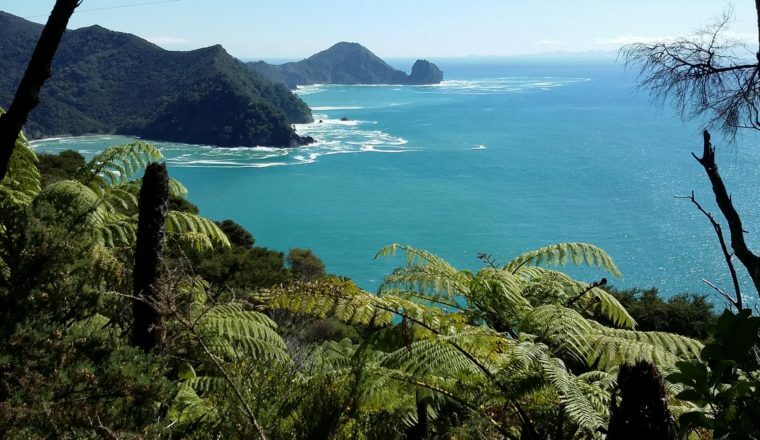 This is a seven hour return walk that takes in the full beauty of the remote upper Coromandel Peninsula and comes high up the list of the top New Zealand walks. Stone Bay and Fletchers Bay are the starting and finishing points passing the imposing Mount Moehau, pristine bush, farmland and coastline. This is a truly beautiful spot that is remote and unspoilt in any way. There is so much to see and take in as you walk you will find yourself quiet and thoughtful, simply soaking up the scenery. Coromandel town itself is a haven for artists and crafty people and so the town has an amazing quirky feel reflecting its art and culture. New Zealand is a country with such diverse and beautiful landscapes, friendly, relaxed and fun people, stunning beaches, vibrant cities and adrenaline sports galore, that you won’t fail to fall in love with the place.